Our guests enjoy FREE WiFi, free satellite TV and free off-street parking! Are you looking for quality, private accommodations set apart from public or commercial fare? 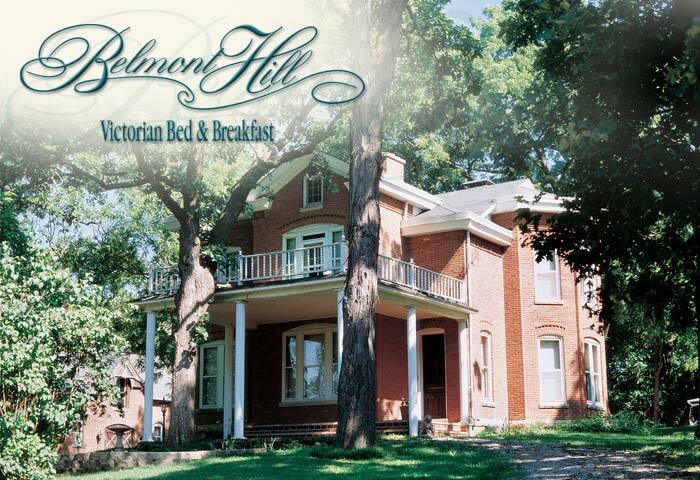 Whether a personal getaway, your honeymoon, or business travel, Belmont Hill Victorian Bed & Breakfast may be the comfortable haven for which you are searching. The 1882 National Register Home and Carriage House are a private historical estate, secluded and self-contained with luxury appointments, complemented by excellent personal service. Embrace history...come, experience the ambiance of this vintage property. Wooded grounds keep the present at bay. Respond to the pleasant surroundings; centennial hardwood trees beckon your meandering beneath their spreading canopy. 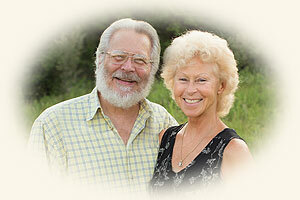 Brimming perennial gardens implore you to give pause and linger. The terrace invites you to sit...to unwind...to replenish.